– The decision adversely impacts the viability of the insurance exchanges, which are foundational to the ACA. The ACA requires companies that have 50 or more full-time equivalent employees to provide health insurance coverage that is “affordable” to their employees and meets minimum value standards. Under ACA rules, coverage is “affordable” if an employee’s share of premium costs for employee-only coverage is less than 9.5% of yearly household income. The minimum value standard is met if the health plan’s share of the total costs of covered services is at least 60%. The reporting requirements for employers (to demonstrate whether and how they meet these and other ACA requirements) haveleft company decision makers shaking their heads in frustration about how to meet the law’s requirements. The delay is intended to give government officials more time to sort it all out, apparently. According to Mark J. Mazur of the U.S. Department of the Treasury, by virtue of the delay, employers will not be required to make any shared responsibility payments until 2015. T]his relief will provide additional time for time for dialogue with stakeholders in an effort to simplify the reporting requirements consistent with effective implementation of the law. It will also provide employers, insurers, and other reporting entities additional time to develop their systems for assembling and reporting the needed data. Employers, insurers, and other reporting entities are encouraged to voluntarily comply with these information reporting provisions for 2014 (once the reporting rules have been issued) in preparation for the full application of the provisions for 2015. However, information reporting under §§ 6055 and 6056 will be optional for 2014; accordingly, no penalties will be applied for failure to comply with these information reporting provisions for 2014. The House Committee on Energy and Commerce has launched an investigation into the delay. Some lawmakers are concerned about the cost and full budgetary effect of the delay, due to the immediate loss of revenue from employer fines and penalties as a result of the mandate’s delay. On July 10, 2013, these lawmakers sent a letter to the Congressional Budget Office (CBO) seeking additional information. Among other information sought, the letter asks the CBO to “estimate the budgetary effects of a scenario where the Administration chooses to never implement the employer mandate and insurer reporting requirements.” On July 10, 2014, the House Ways and Means Health Subcommittee held a hearing to evaluate the delay’s potential affect upon implementing the rest of the ACA, including the individual mandate. 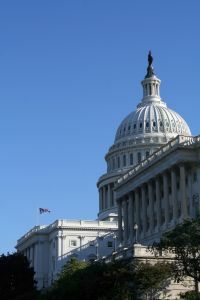 Many lawmakers are calling for a delay of the individual mandate as well. The ACA, if fully implemented, will radically transform our Country’s health care delivery system. It is designed to completely change the way medicine is practiced. Kevin Little is a Georgia and South Carolina business and health care attorney who represents physician, physician groups, ambulance service providers, nursing homes and other health care providers and businesses. Our law firm’s focus is helping health care businesses succeed. Contact us at (404) 685-1662 (Atlanta) or (706) 722-7886 (Augusta) to schedule a confidential consultation.